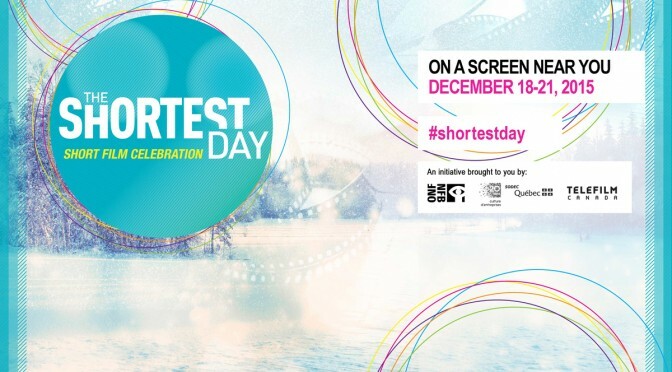 The Shortest Day is a three-day celebration of short films offering free screenings across the country. Started by the Centre national du cinema et de l’image animee http://www.cnc.fr/web/en (CNC) in France in 2011, the event has now spread to some 50 other countries. From Newfoundland and Labrador to Yukon, more than 90 participating venues—movie theatres, cultural centres, associations, festivals and libraries—will join the celebration and hold free screenings in several thematic programs. A wonderful opportunity for audiences to discover talented Canadian filmmakers who have been honoured here and abroad on the festival circuit. The CELLULOID SOCIAL CLUB is a monthly screening featuring the best in independent provocative short films since 1997 followed by a Q&A with the filmmaker followed by networking & socializing. VISIONS OUEST PRODUCTIONS offers a variety of events & activities throughout the year. The 22nd Rendez-vous du cinéma québécois et francophone, held in February, recognizes the success of Canadian cinema, and from the Francophonie Internationale, celebrating the diversity and talent of our artists. Many events are included in the Festival, such as Salon du cinema, The Best of Shorts, Black History Month, etc. In addition, the Beaux Jeudis Serie (November – March) and the School Matinées screenings provide ideal opportunities to foster the link with the francophone community via the presentation of top quality films. Bacon & God’s Wrath by Sol Friedman – A 90-year-old Jewish woman reflects on her life’s experiences as she prepares to try bacon for the first time. Bus Story by Tali – When a woman signs up to drive a school bus, she dreams of cruising down quiet country lanes and connecting with young students and their parents. But her idyllic view of the job is sorely tested when she meets her surly boss, “Killer,” and discovers that the pretty winding roads can prove treacherous, especially with a faulty clutch. An animated film inspired by the misadventures of its creator, who used to drive a school bus in the Eastern Townships. Call It Blue by Julia Hendrickson – Obliging to a simple request of hitching a ride, Benito quickly discovers that Ana lacks a destination. In between attempted door-to-door sales and spontaneous expeditions to scenic landscapes, Ana playfully pries Benito out of his insurance folder and into her world. She tries to teach him that if you’re always looking at the road ahead, you’ll miss what you’re passing. No Fish Where to Go by Nicola Lemay & Janice Nadeau – Created using watercolour animation, this timeless tale of war and intolerance unfolds through the bewildered eyes of a young girl. It illustrates how perceived differences can be magnified and lead to conflict, and how human relationships can transcend societal expectations. This film has cross-curricular connections to social studies and language arts exploring conflict, co-operation, symbolism and metaphor. The Little Deputy by Trevor Anderson – Trevor tries to have a photo taken with his father. The Pepperette by Jérôme Hof – When two wannabe thieves try to act like bad boys by playing in the big leagues… nothing good happens!